The Cressbrook Tank Stand was built in the 1880’s by second-generation owner James Henry McConnel to replace two smaller tanks initially used on the station. The new tank was a necessary structure to accommodate the expanded Station and its employees, which, at its peak, was home to roughly 200 people. The Tank Stand is believed to be one of only a few surviving in Australia. Whilst it is not the oldest tank on Cressbrook, it is the most prominent for its design and position in the main garden. 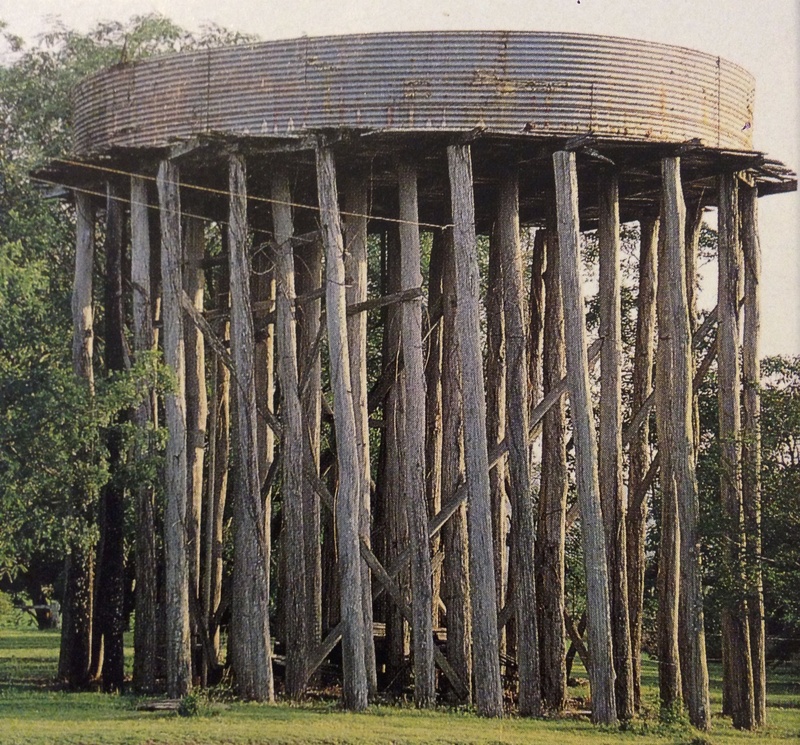 Standing at over 30 feet high, with a width of over 30 feet and original tank holding capacity of over 20,000 gallons (91,000 litres), the Tank Stand is a living testament to the development of rural life and agricultural engineering in Australia. It is the hope of the McConnel family that Cressbrook will be opened to the public in the future for various open days and private events so as to ensure their significant part of Queensland and Australia’s history is shared, enjoyed and importantly not forgotten. Such desire is particularly heightened by the upcoming celebration of the family’s 175years at Cressbrook in 2016. However, in order to open Cressbrook to the public on these occasions, restoration work is required on the historic Tank Stand in the main garden, to ensure its safety. Access to the grounds of Cressbrook by the public in selected capacities is strictly prohibited at present due to the lack of structural integrity of the Tank Stand. Conservation of the Tank Stand will enable safe access to the grounds by the public and create a unique opportunity for historical education pertaining to the Tank Stand’s structural engineering and significance, as part of the greater history of the McConnel family at Cressbrook. The remaining structures at Cressbrook (only some 10-15% remain) are evocative of a prosperous and self-contained agricultural community circa 1880-1900, which significantly includes the oldest homestead in Queensland still owned and operated by the original family. Consequently, there is a persuasive argument for making the property accessible, in part, for the enjoyment of the public as an integral part of the Somerset Region tourism network. The Somerset Regional Council has gone to great lengths to increase tourism in the region, particularly in Toogoolawah, with the conservation of the Toogoolawah Condensary, built by J.H. McConnel in 1898 as the first of its kind in Australia. The McConnel family believes that Cressbrook is an invaluable link in the promotion of tourism in this region, given the historical footprint of Cressbrook and the McConnel family since 1841. Consequently, conservation of the Tank Stand will provide Cressbrook the opportunity to become an integral part of tourism and heritage education in the Somerset Region. Restoration works of the Tank Stand are estimated at roughly $70,000. To date, over $10,000 has been raised through private donations and the McConnel family have recently been granted $40,000 by the Queensland Government Department of Environment and Heritage Protection through the Everyone’s Environment Heritage Grant Program. The McConnel family have received an outpouring of support from local and nation-wide companies who have offered their expertise for this project, which they hope will be completed by mid-late 2015. The McConnel family would like to thank Kate Stark and the Queensland Country Life for assisting us in the promotion of the Cressbrook Tank Stand Restoration Project. Please visit our Facebook page or the Queensland Country Life website to view their article, ‘Historical Mission Begins’. All donations made to the project are tax deductible in full through the National Trust of Queensland. For more information pertaining to the project or information on how you can donate, please contact the McConnel family directly at history@cressbrookstation.com.au. THIS INFORMATION AS WRITTEN REMAINS THE PROPERTY OF CRESSBROOK McCONNEL FAMILY AND IS NOT FOR PUBLICATION OR DISTRIBUTION WITHOUT EXPRESS AUTHORITY OR APPROPRIATE CITATION.